Experience breathtaking sunset and expansive mountain views from this extremely private golf course home tucked away behind the 13th tee box of Cochise course. Here's your chance to make your own updates on a home that has the views to anchor your investment. Windows capture the down valley views and surrounding desert flora from all of the main living areas. Large covered patio with 2 built in BBQs, pool w/ water feature and heated spa faces southwest where you will enjoy the views and magnificent sunsets behind the layers of mountain ranges that appear in the distance. Three en-suite bedrooms provide plenty of room for friends and family. Lot is on a 23,000 sq. ft. building envelope so you can add to the existing 4000 sq. ft. home if desired. Renowned architect Mark Candelaria has drawn up conceptional drawings of a possible addition and reconfiguration which can be provided. Adjacent Lot is available for purchase, lot 37. Your dream estate awaits you in Paradise Valley complete with captivating views of Praying Monk and Camelback Mountain. 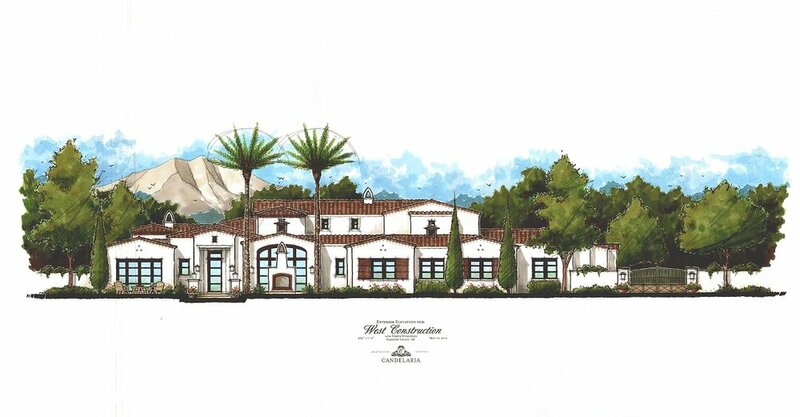 Be inspired by architect Mark Candelaria's timeless Santa Barbara design. Let luxury reveal itself in the elevated appointments of Est Est Interior Design's Tony Sutton. Allow us to build your dream home, exclusively building with West Construction & Development, Arizona's premier luxury custom home builder since 1986. Timeless Showpiece! Best Iconic Lot location in the FULTON ISLAND EXCLUSIVE GATED LAKE COMMUNITY! This Exquisite home is situated on a prime lot with a front water view! Oversized Corner Lot! Private backyard! No expense has been spared in this Formal Mediterranean Estate, 10,613 square ft under roof! Architect Candelaria Design Associates! One of the premier luxury residential firms in the country! Spacious 5 beds 6 baths + 2 half baths + Office + Flex room including 7 car Garage with gated auto court! All bedrooms have their own private bath! Master Bedroom Downstairs! Gourmet Kitchen w/ Wolf & Sub-Zero + Dual Islands! Grand Fireplace in the Living Room! Master w/ Sitting Room and private retreat courtyard with private spa! Huge Master Closet w/ washer/dryer! Clean lines, tasteful simplicity, and the utmost attention to detail are found in this sophisticated, ultra-classy home and are the result of an intricately orchestrated collaboration by Schultz Development/Candelaria Design/David Michael Miller/Berghoff Design Group--truly an Arizona "dream team" of builder, architect and designers. Beautiful French limestone, European white oak flooring and Riviera Bronze windows/doors throughout that disappear and opens the entire home to the spectacular grounds and views. Master bedroom on main floor w/private courtyard/spa/fireplace. Three bedrooms. 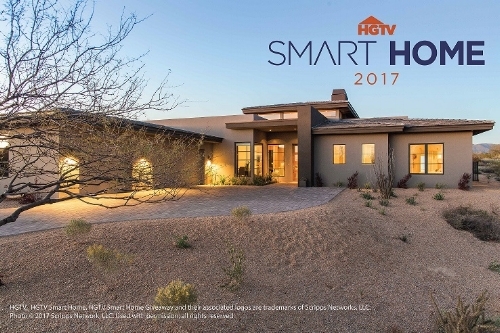 A once in a lifetime opportunity to own the brand new HGTV Smart Home!! We have priced it to sell it! Here is your chance to own one of the most sensational properties available. From design, to technology, this property is like nothing you have ever seen. A PERFECT floor plan with custom finishes throughout. Whole home automation system with top of the line everything! 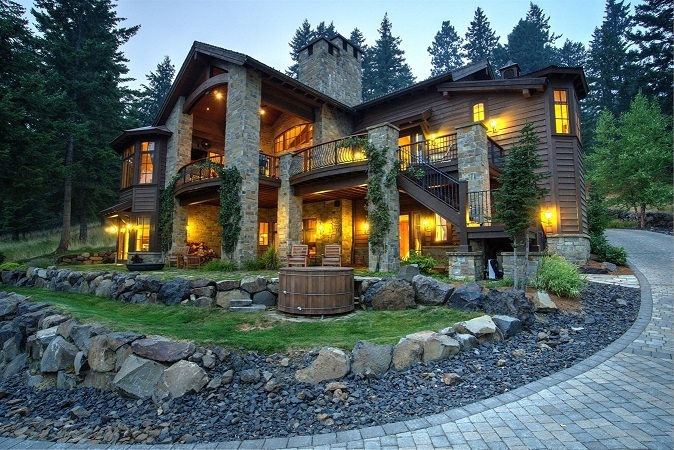 Pictures and words simply do not do this home justice. Due to the high demand of showings and we kindly ask for serious inquires only. Given the offering price please expect multiple offers. Thank you for your interest. Stunning Rustic Elegance Tuscan-style Villa with drop dead gorgeous CdA Lake Views on the most prestigious street - Onyx Circle at The Club at Black Rock. Inspired by the Tuscan lifestyle, envisioned by World renowned Candelaria Designs, built with no expenses spared with Italian imported materials, hand-picked stone, custom cabinets - a Chef's Dream Kitchen, movie room, and a 600 bottle wine cellar (of course!) in the walkout lower level. A must see home for the true Connoisseur of Life. The Golf Club at Black Rock is a gated Award winning Golf & Lake Community just 25 min from Downtown CdA, with Community Beach, incredible clubhouse, lifestyle, beauty & a friendly community. Comes FULLY FURNISHED and ready to start making memories today. This site offers dramatic views of saguaro speckled mountains, city lights and sunsets!! Privacy guaranteed by the lot tie of lot 188 with lot 194. Cut-de-sac locatio; feeling of fabulous open space surrounding the site. 1.1 acres with a 17,110 sf building envelope. Easy build prep. Close to the Chiricahua Clubhouse for dining and golf as well as the 16 miles of hiking trails. No membership is included, but available from The Desert Mountain Club upon application and approval. Plans by Mark Candelaria are available for an additional cost. Half Million Dollar Price Reduction! Candelaria beauty in Clearwater Hills. Originally built in 1970 but substantially rebuilt in 2004, this home is a classic soft Tuscan with fabulous views of Camelback Mountain, Mummy Mountain, and Phoenix Mountain Preserve. Exquisite craftsmanship is the hallmark of this home; from the custom cabinetry to the hardwood floors. Multiple fireplaces with carved stone surrounds. Chef’s kitchen with high-end appliances and poured in place concrete countertops opens to a lovely family room and breakfast room. Living room with wood-paneled coffered ceilings. Multiple patios and built-in BBQ for outdoor living. Gorgeous tiled pool and spa, vegetable garden, and grassy play yard. Incredible Value in this to be built Lot/Home Package! This custom package offers an acre lot and a 3200 sq ft home w/optional bunk or guest house. Outstanding golf and water views from this private lot. Located on the pond fronting hole #14 of Gozzer Ranch Golf Couse. It's also close to the newly constructed clubhouse and homestead amenities. Timeless Light and Bright Country French Architecture. Completely remodeled and upgraded in 2012 by GM Hunt and Architect Mark Candelaria Design who had originally designed this magnificent home in 2007. In 2015 additional enhancements were completed by Builder John Schultz. This inviting home is an ideal family home to include a beautiful master; allows sitting area and views. Two large family rooms, a theater and huge game room away from the bedrooms. Limestone floors, paneled walls, newer Kitchen and Baths, door and windows, European style roofing tiles, soft archways and welcoming foyer. An award wining curb appeal and private back yard to include a large grass areas, Kids play section, a large pool and spa. Close to Paradise Valley Country Club and Fine Shops. If you are looking for one of the finest custom built homes in North Scottsdale - look no further! 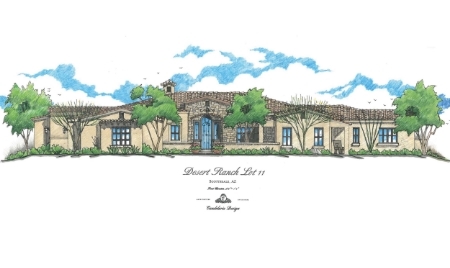 This Candelaria designed and Lineage Homes built custom features an open and flowing floor plan and a south facing golf course, mountain view and sunset lot! The main home is 5365 sq ft and features a spacious great room w/fireplace and a wall of retractable doors open to the gourmet kitchen w/beautiful custom cabinets, the finest granite and high end appliances. There is a breakfast nook and a full wet bar w/windows that fully retract as well. There is a separate dining room with a walk in wine room. Master is large with a fireplace, luxurious bath and huge walk in closet. Two additional bedroom suites & powder bath. 2 room guest casita w/wet bar. Pool,spa,BBQ and VIEWS! 4 car garage! 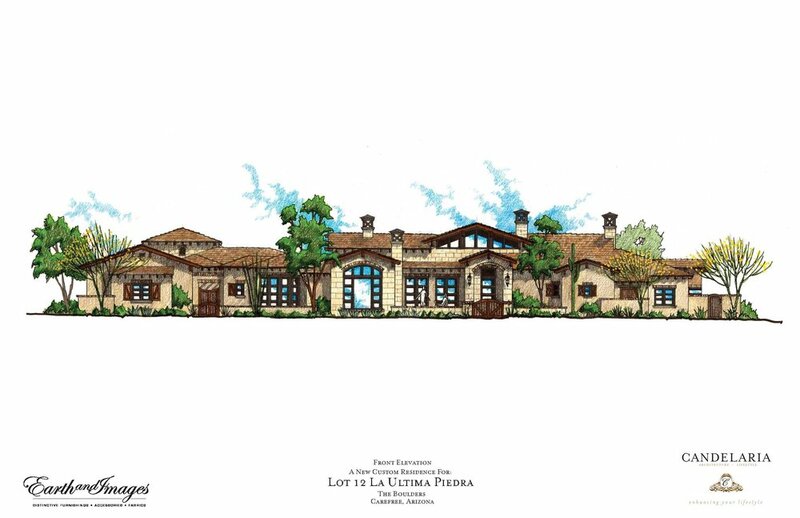 This 5242 sq ft Mark Candelaria designed and Lineage built home sits on a beautiful mountain view lot and features a main home with 3 bedrooms and 3.5 baths and a separate 2 room guest house with a spacious living area with a wet bar and a full bedroom and bath. This courtyard home also features a large great room with a beautiful fireplace and a wall of retractable doors that fold back to make a fabulous indoor/outdoor living area. There is a stunning gourmet kitchen with top of the line appliances & separate island, breakfast room, full wet bar with retractable windows that open to the outside bar area, pool/spa, built-in BBQ and outdoor fireplace. There is also a separate formal dining room with a walk in wine room. This home also features a 4 car garage! This 4842 sq ft Mark Candelaria designed and Lineage built home sits on a stunning 2.24 acre view lot and features a main home with 3 bedrooms and 3.5 baths and a separate guest house with a spacious bedroom and bath and wet bar. This courtyard home also features a large great room with a beautiful fireplace and a wall of retractable doors that fold back to make a fabulous indoor/outdoor living area. There is a stunning gourmet kitchen with top of the line appliances & separate island, breakfast room, full wet bar with retractable windows that open to the outside bar area, pool/spa, built-in BBQ and outdoor fireplace. There is also a separate formal dining room with a walk in wine room. This home also features a 4 car garage! To be completed summer 2016. A Mark Candelaria design featured twice on the cover of Phoenix Home & Garden magazine! Situated on over 1/2 acre lot in the heart of McCormick Ranch this property features: 5 bedrooms, 4.5 baths+Office+Library+Rec Room+Basement. Throughout home: 100 year old barn wood floors & doors, tons of antique fixtures, 28 ft ceilings, gourmet kitchen overlooking family room w/ double islands, Wolf appliances,walk in refrigerator & retractable antique doors allow for true indoor/outdoor style living! Resort like backyard w/ 1,300 sq. ft. outdoor kitchen with pizza oven, smoker & fireplace. Relaxing pool & gardens & orchards beyond belief! Homes this special RARELY come on the market. The Best of The Best featuring: Architect Mark Candelaria of Candelaria Design Associates, LLC, Interiors by Isabel Dellinger of Earth and Images ... 5,369 SQFT, no steps, built to suit Residence at the Boulders magical Mountain View lot buffered by native plants, signature water hole and the Green. Designed to house 3 cars within 1,008 SQFT of Garage totaling to 6,377 SQFT. This Great Room open floor plan includes an elegant Dining Room, Master Suite, 3 Fire places, 2 guest suites, 1 office/guest, 4.5 baths, 3 car garage, wood flooring, Granite, pool/spa, Large exterior patios and outdoor BBQ setup. Plans and finishings can be modified if you contact us today. Seller may consider a Trade or Carry.5,369 SQ. FT. 1,008 SQ. FT. Garage 6,377 Total SQ. FT. Great Room Dining Master Suite 3 Fire places 2 guest suites 1 office/guest 4.5 baths 3 car garage wood floors granite pool large exterior patios Mark Candelaria Design Interiors by Isabel Dellinger..
Beautiful home to be built by Todd Curtis, Todd Curtis Custom Homes & Renovations, with architecture by Mark Candelaria. 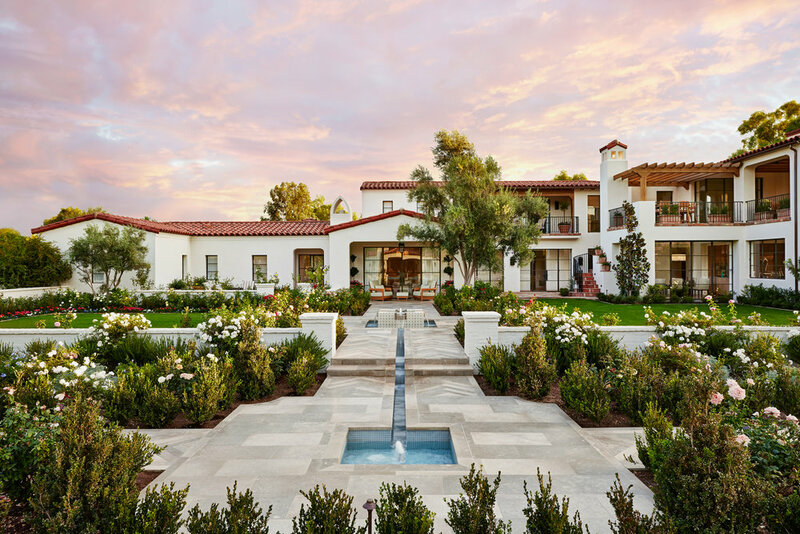 This home has a soft Santa Barbara influence with a modern flair breaking away from the Tuscan style. The design is light & bright with walls of glass that disappear, blending the interior with the extensive patios and lush landscaping. The interior finishes will all be light & bright with light-colored hardwood floors; working surfaces will be a marriage of quartz, granite and Caesar stone. The entire concept is a family-friendly home with an easy flowing floor plan, providing the ultimate in the latest technology coupled with an easy, comfortable and elegant lifestyle.